-- 1 oz. 4 oz. 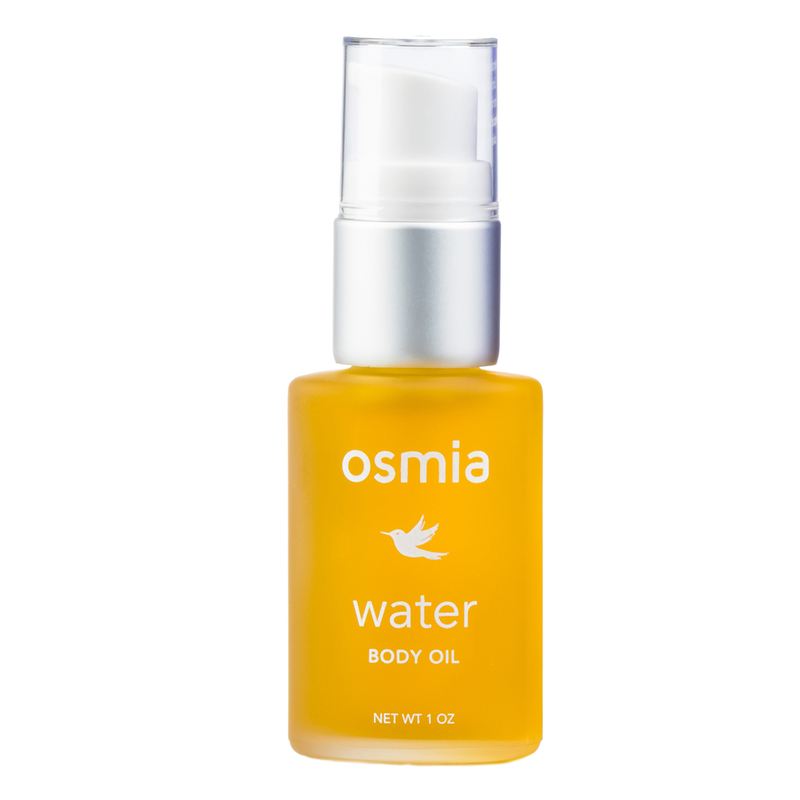 In signature Osmia body oil fashion, the Water Body Oil is formulated in a base of 11 carefully selected and proportioned essential oils to offer the skin a feeling of maximum nourishment and hydration. 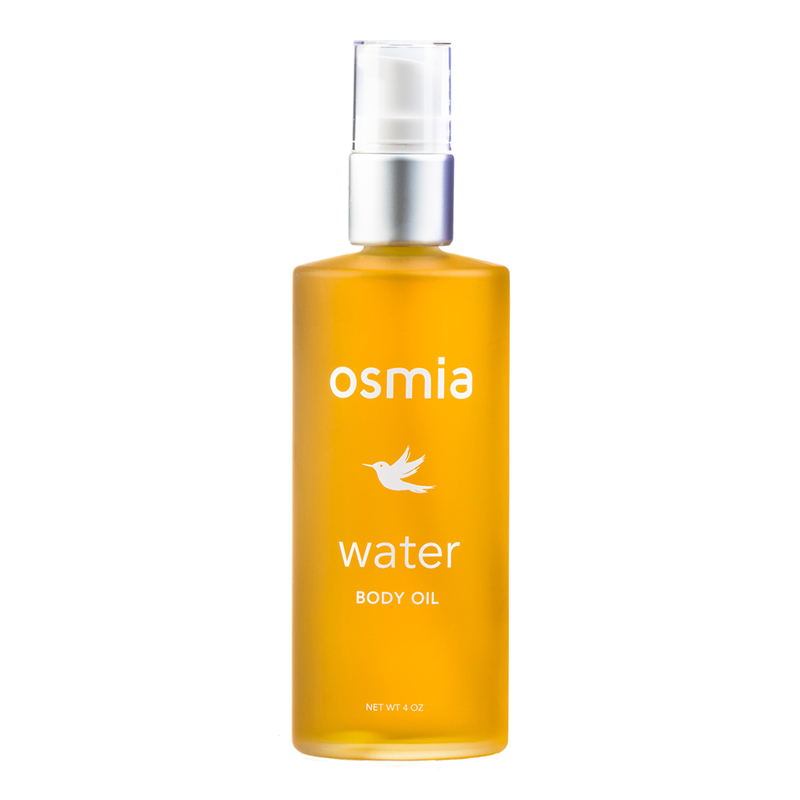 In addition, Water Lily incorporates vetiver, ginger lily and juniper for an earthy, meditative aroma. The long lasting but subtle scent of this unisex body oil works well in place of a perfume or fragrance. Encouraging a feel of deep relaxation and balance, it’s a beautiful incorporation into your daily grounding or centering ritual. We suggest bringing a bottle with you to your next massage appointment and ask your therapist if they'll oblige. Apply to clean, wet skin. For ultimate hydration apply immediately after showering. Water Lily blends with damp skin to lend a deeply moisturized feel.